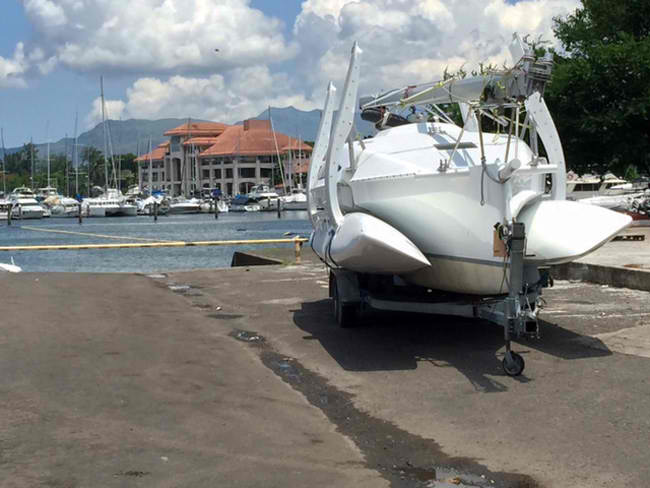 At the boat ramp in Subic Bay, ready for water test. 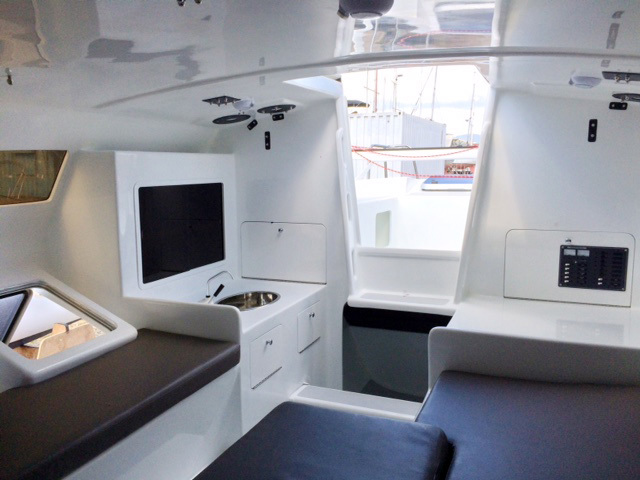 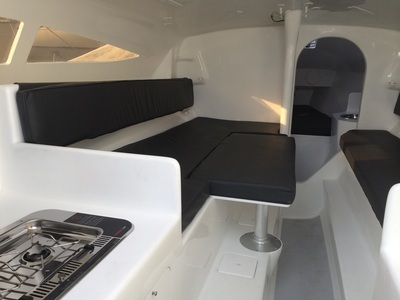 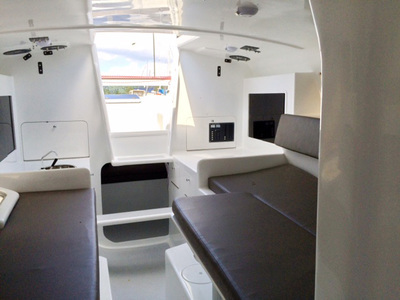 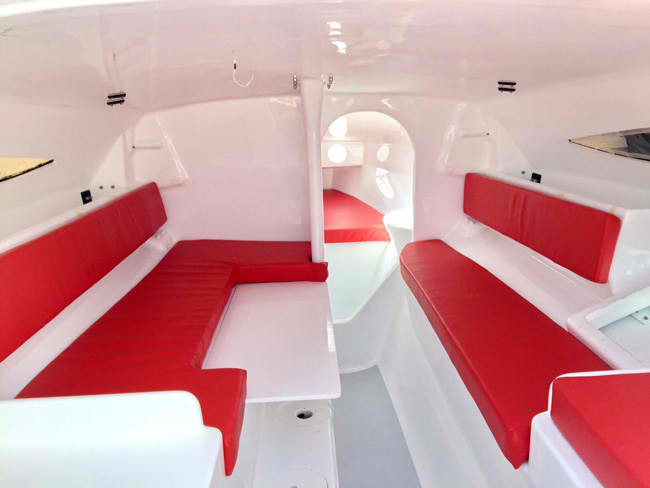 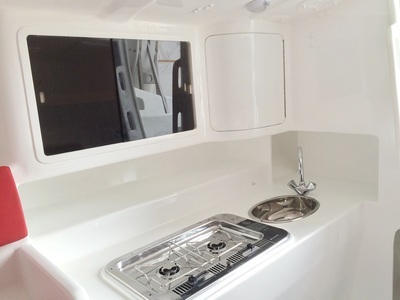 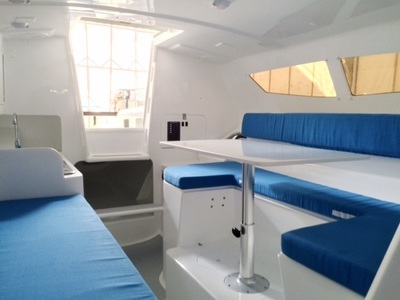 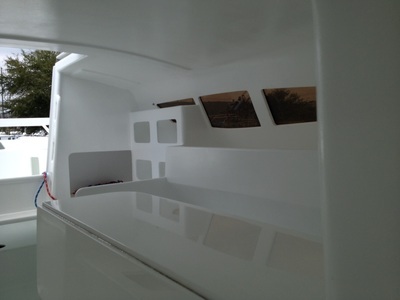 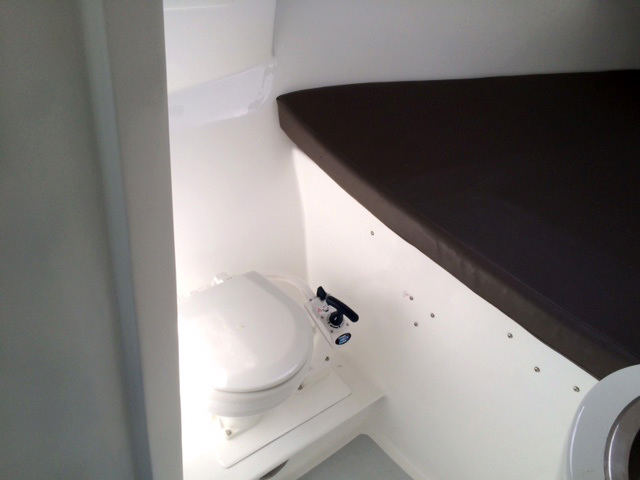 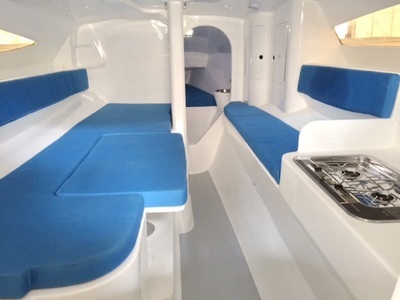 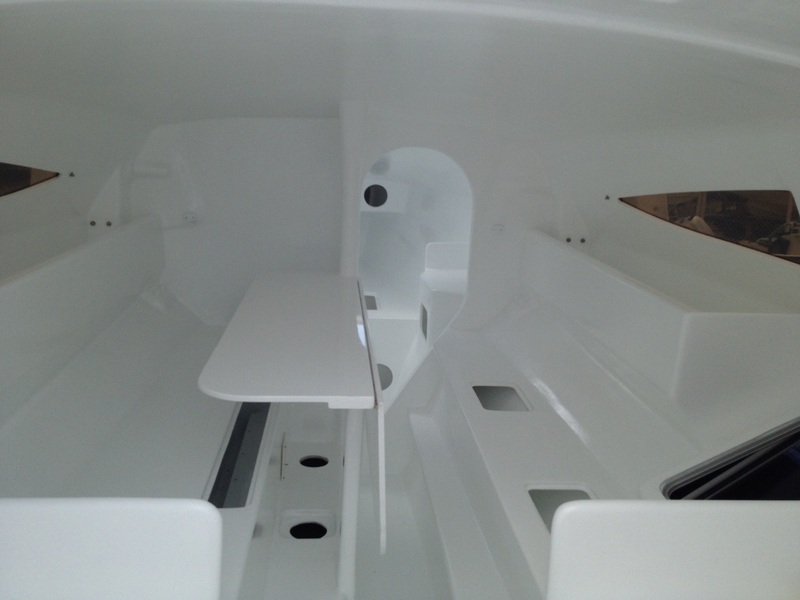 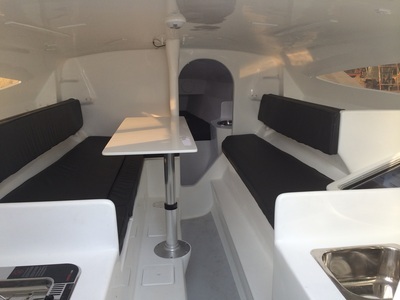 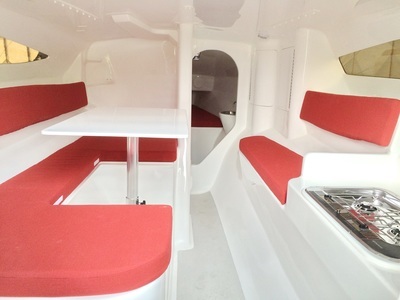 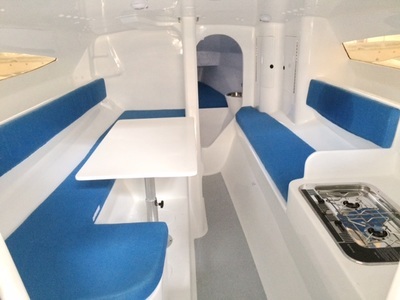 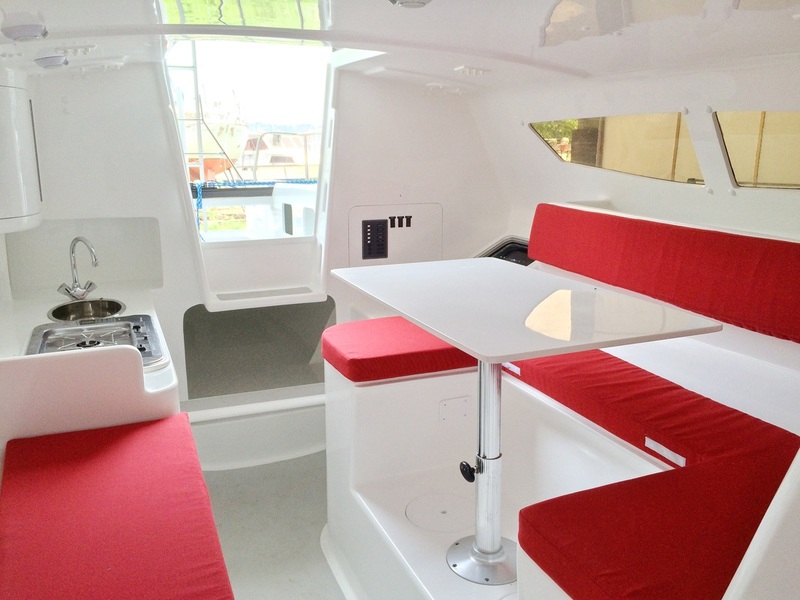 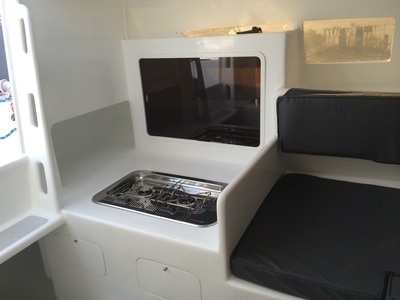 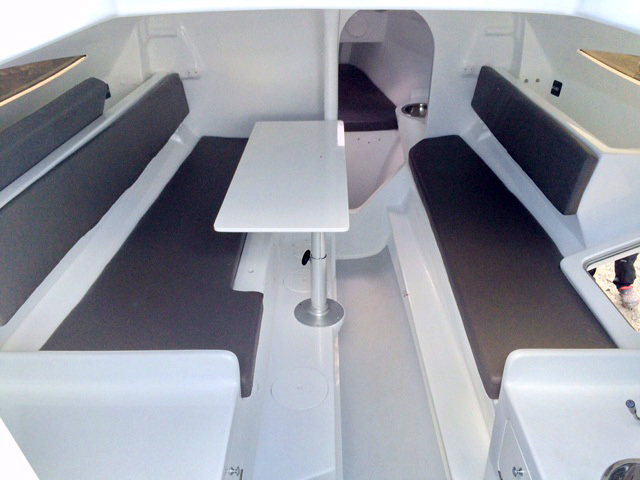 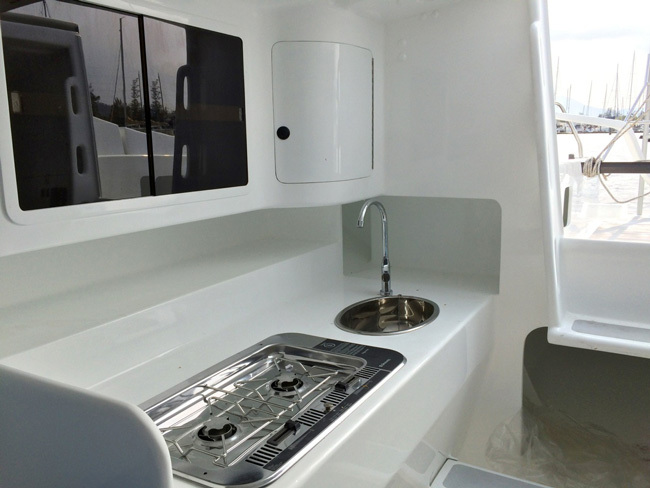 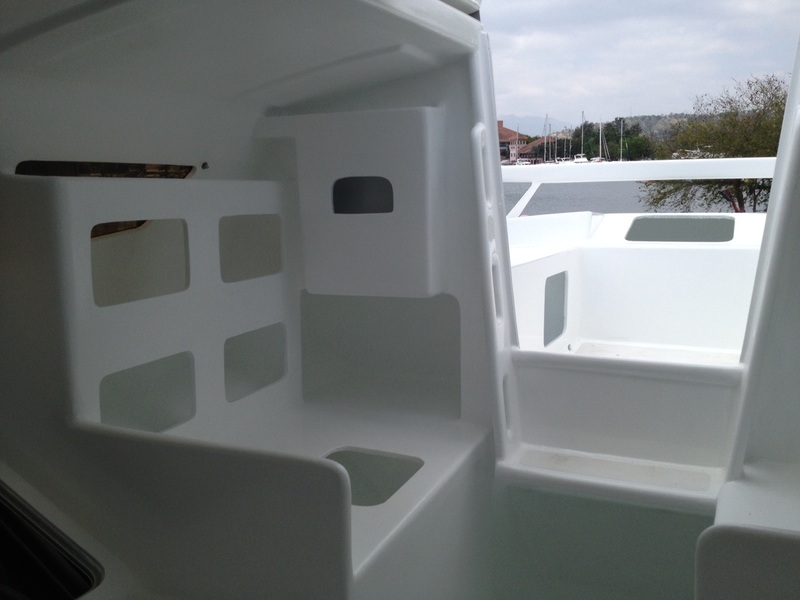 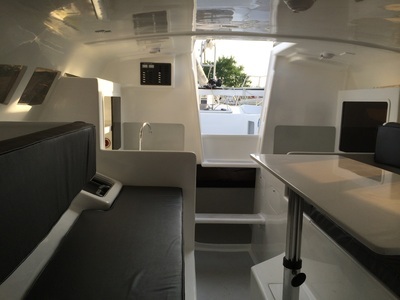 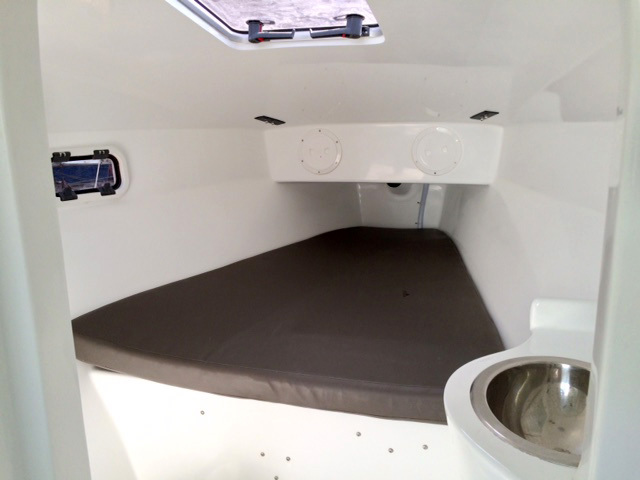 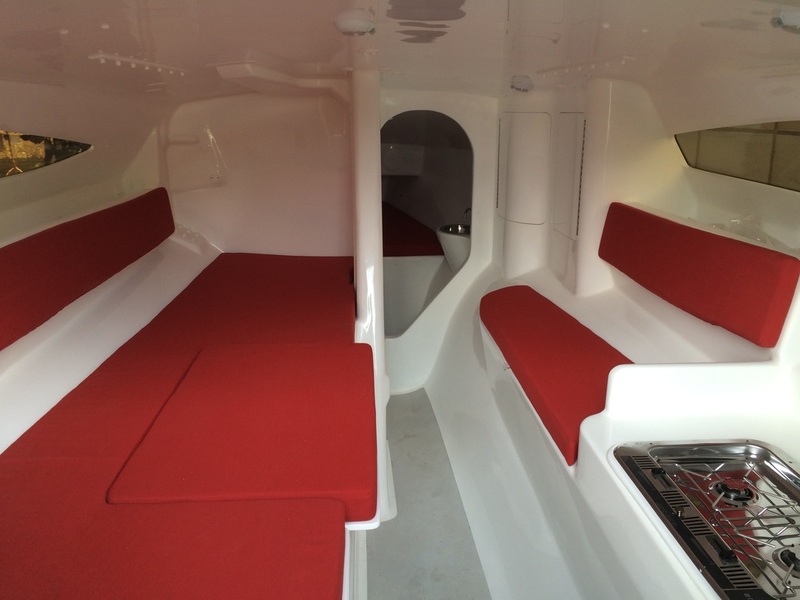 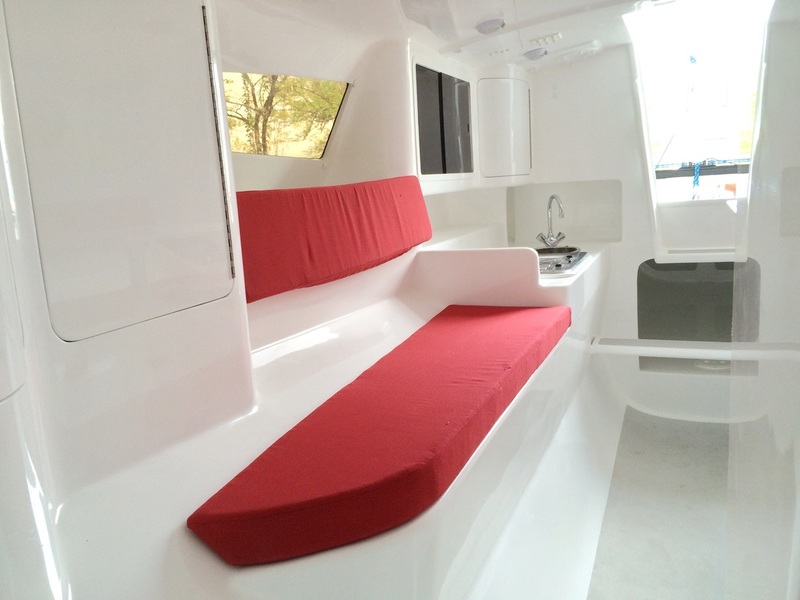 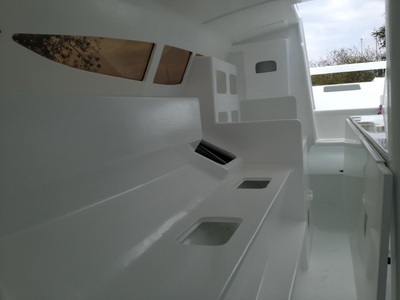 Kit boat with high gloss interior and cushion upgrade, interior ready for fit out. 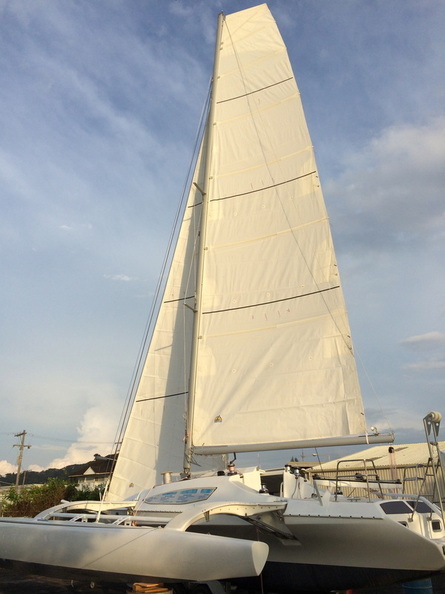 Deck view. 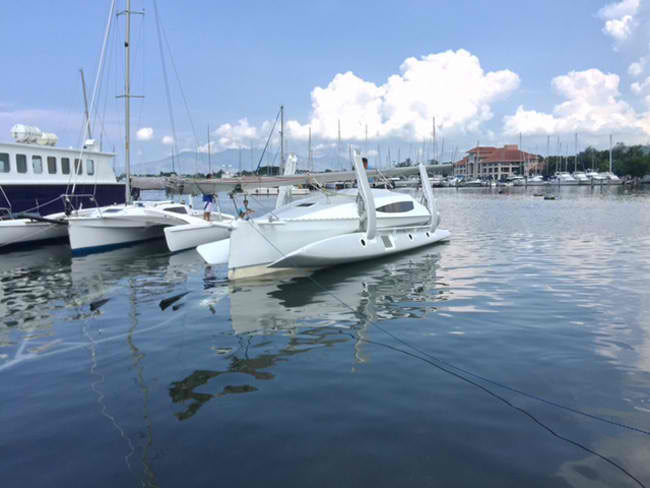 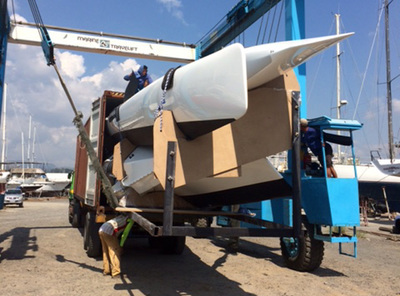 Southern Spars carbon wingmast (300mm/12" chord), very fast boat. 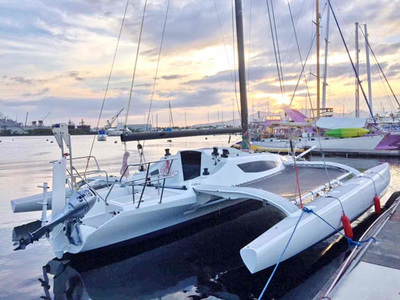 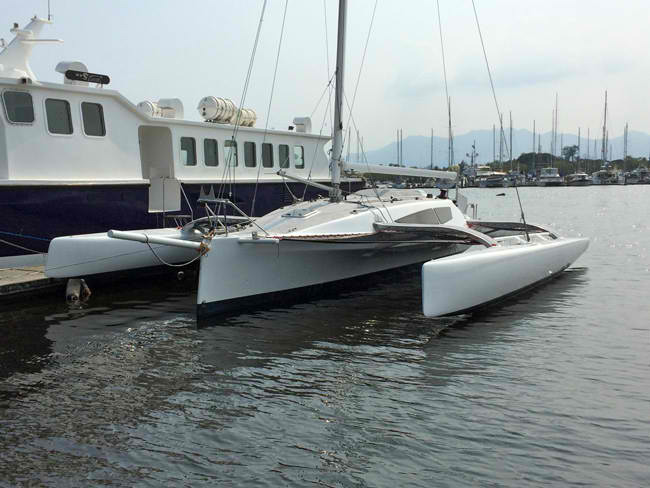 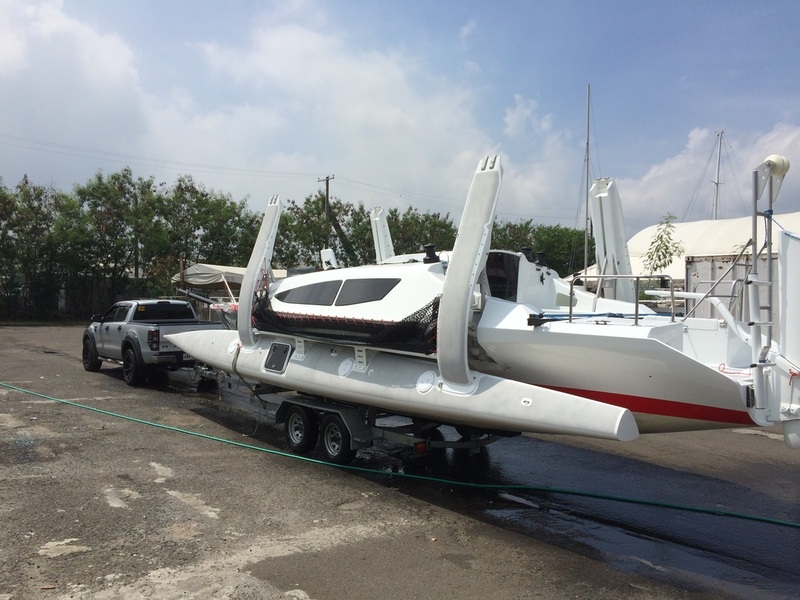 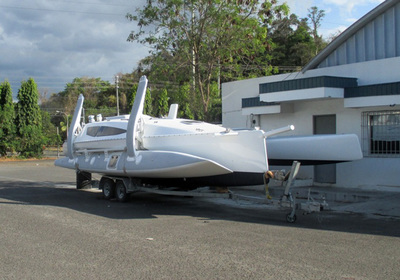 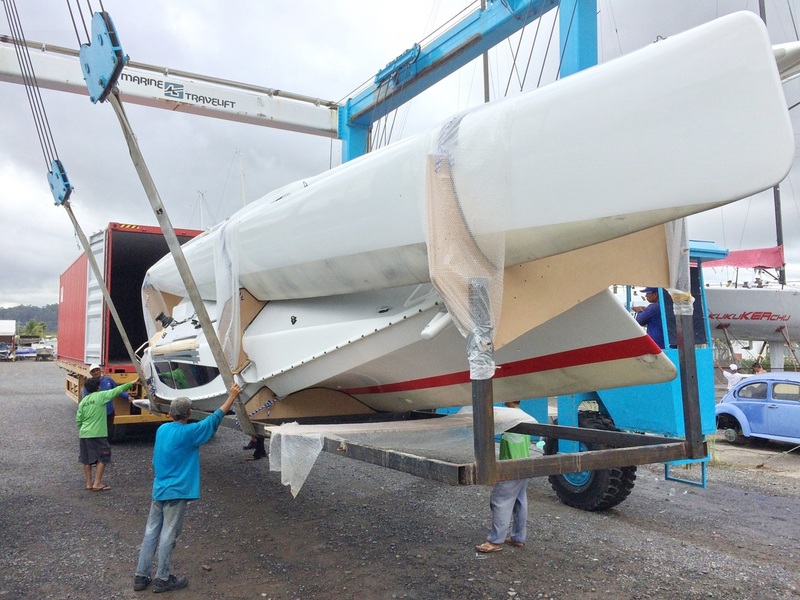 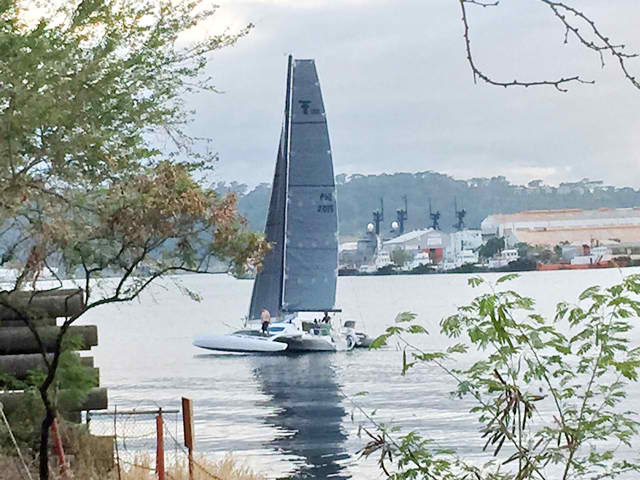 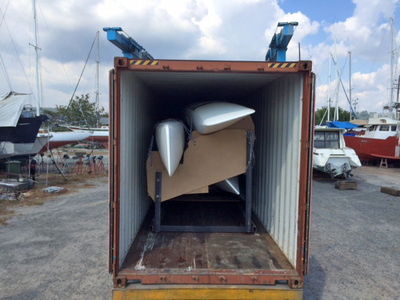 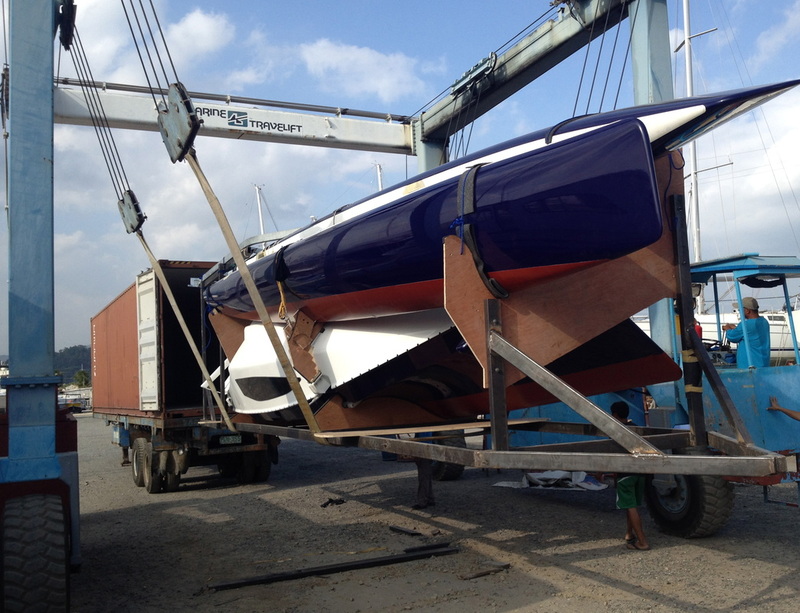 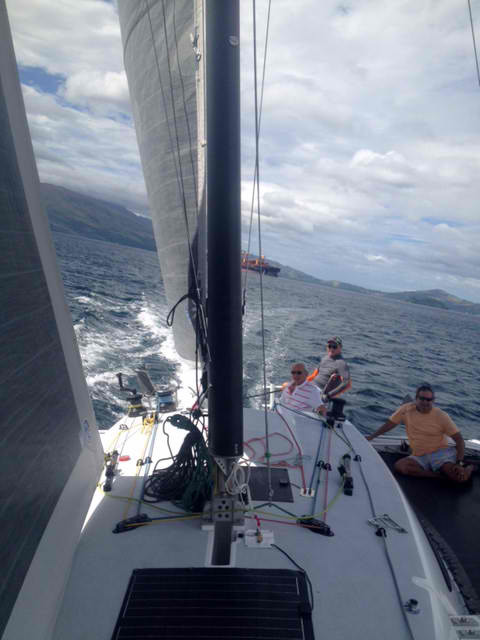 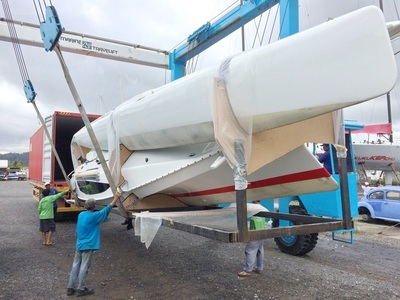 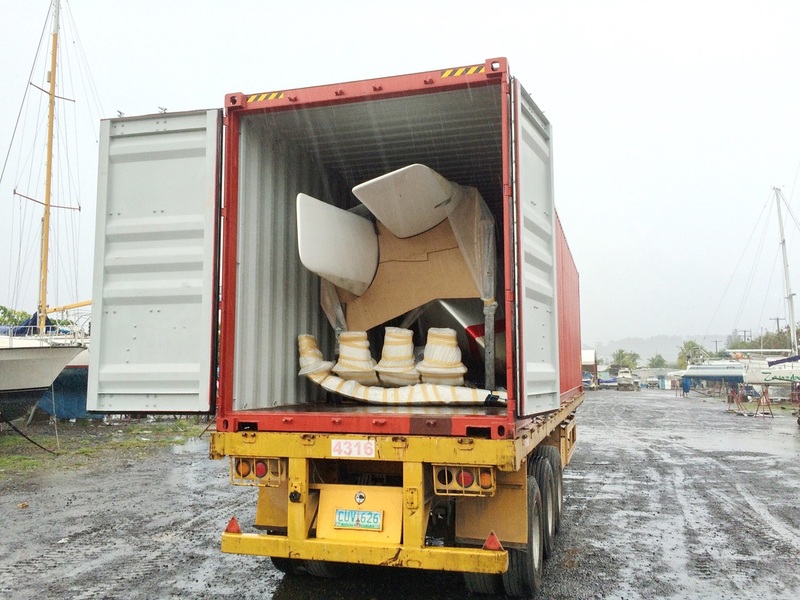 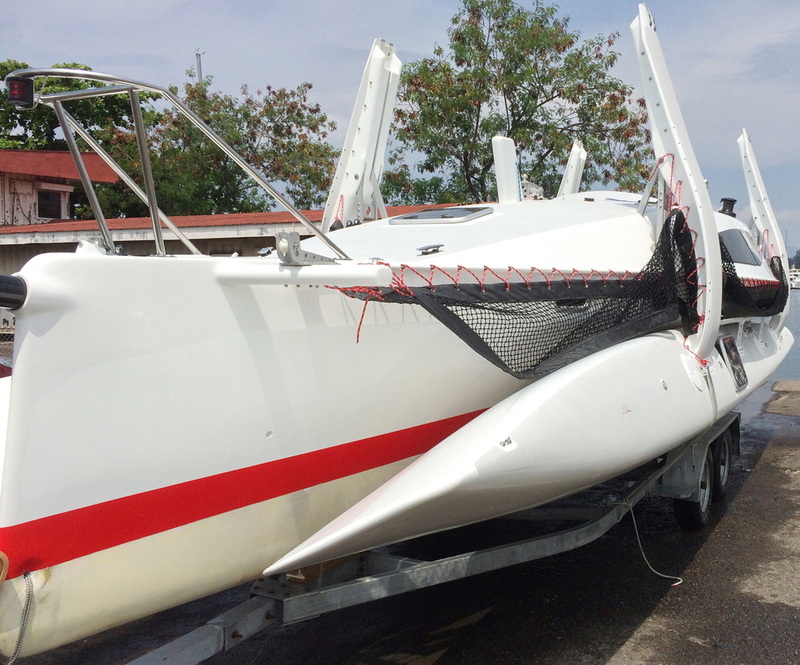 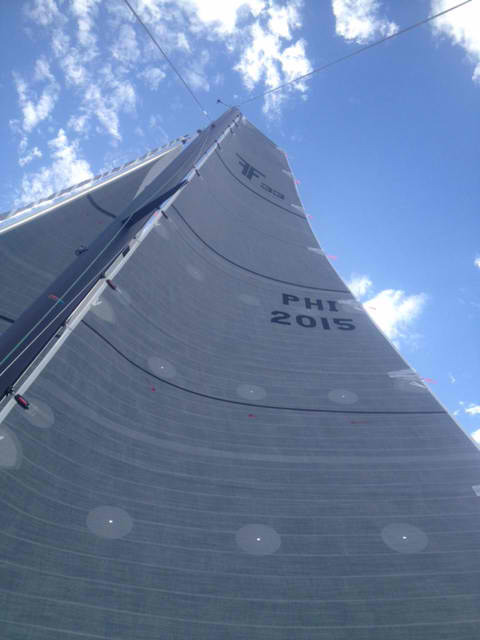 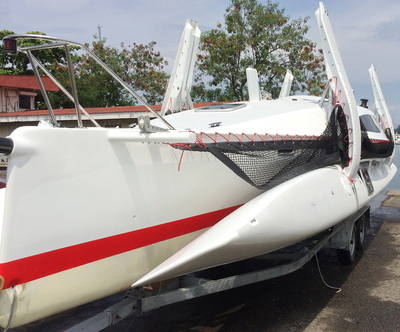 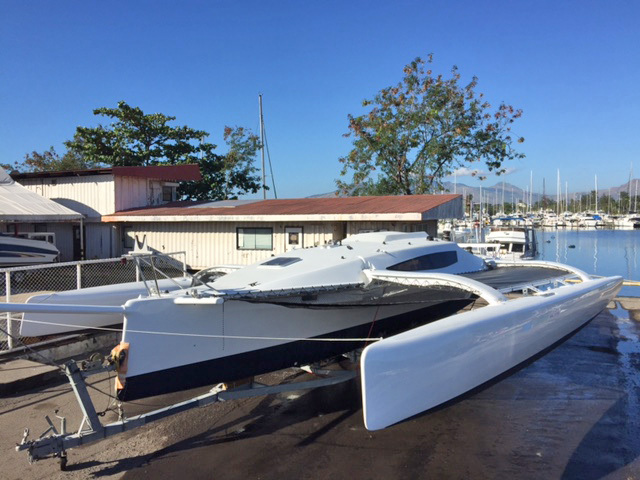 Going to New Zealand, Southern Spars carbon rig to be stepped upon arrival. 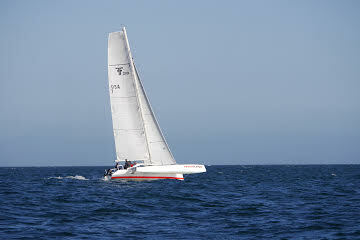 Looking forward. 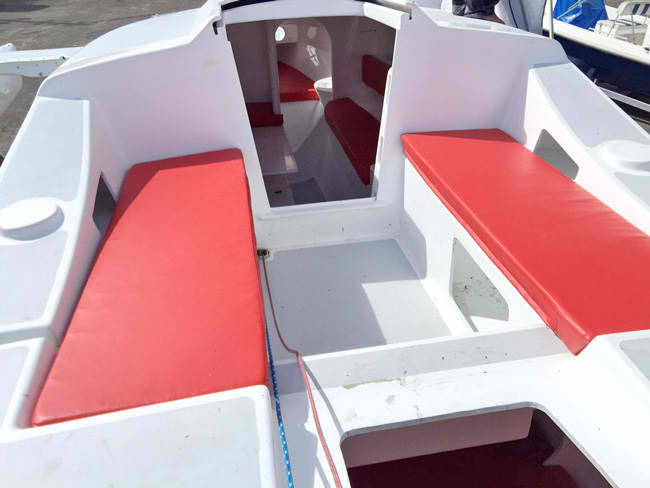 This is the centerboard version of the F-33 so there is more room inside, plus the centerboard can kick back should it ever hit bottom. 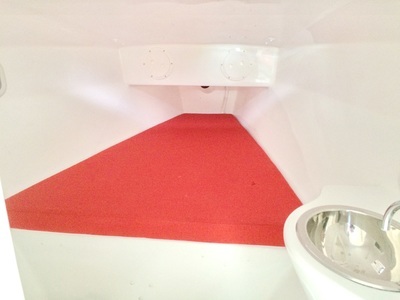 Now fully inside, and will soon be on the way. 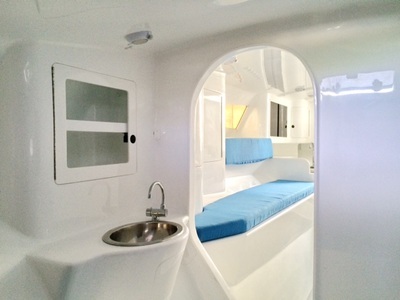 Forward head giving very roomy main cabin with large bunk with settee down. 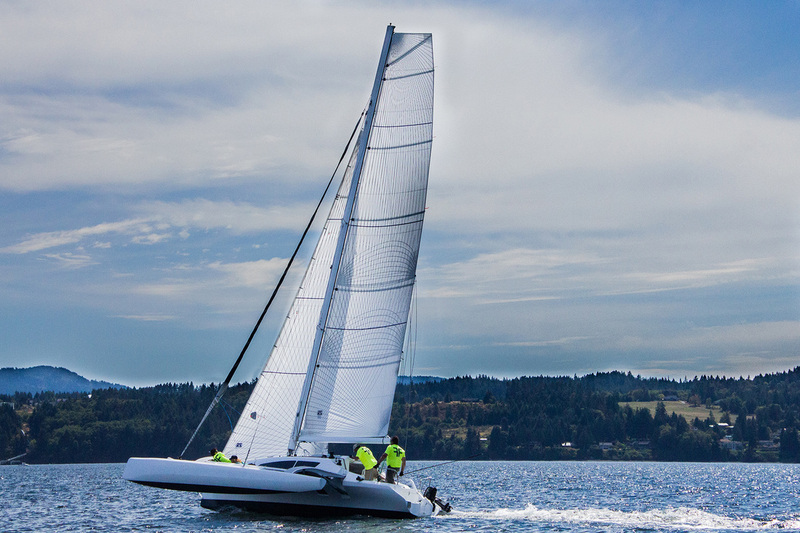 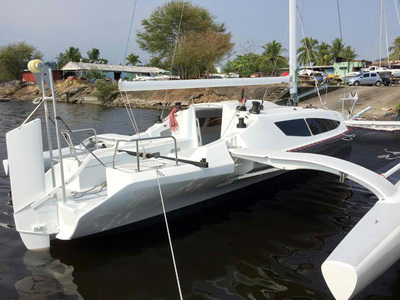 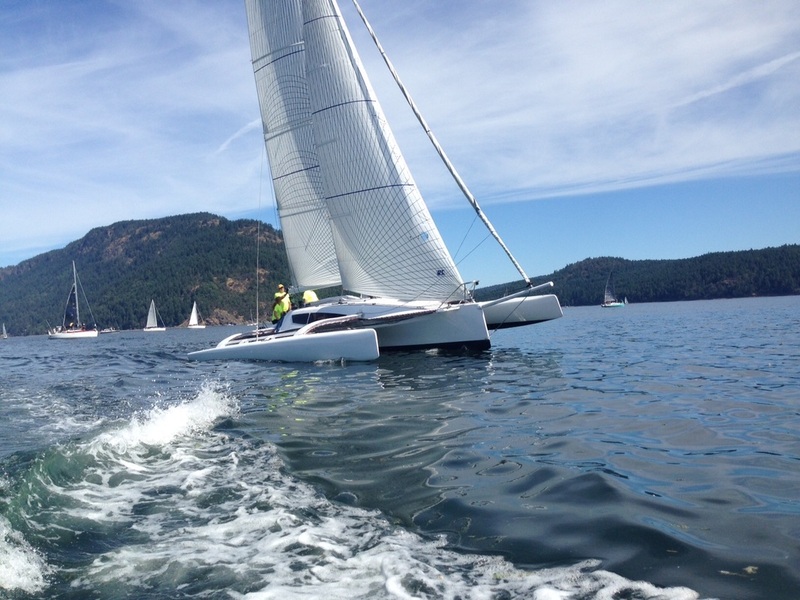 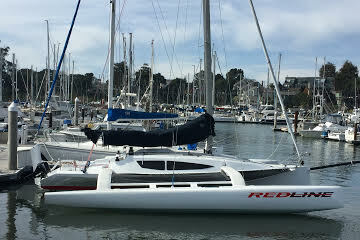 Will be possible to see and sail this particular boat in Vancouver, Canada at Cooper boating's sailing school on Grandville Island. 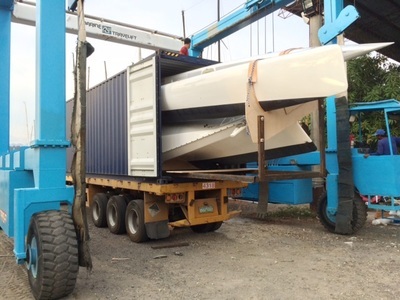 Final fit out completed at original Subic Bay location. 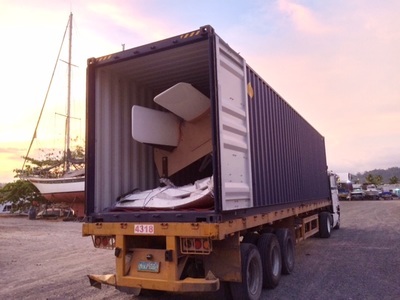 fully in container and ready to depart for Vancouver, Canada. Fully in container and ready to ship. 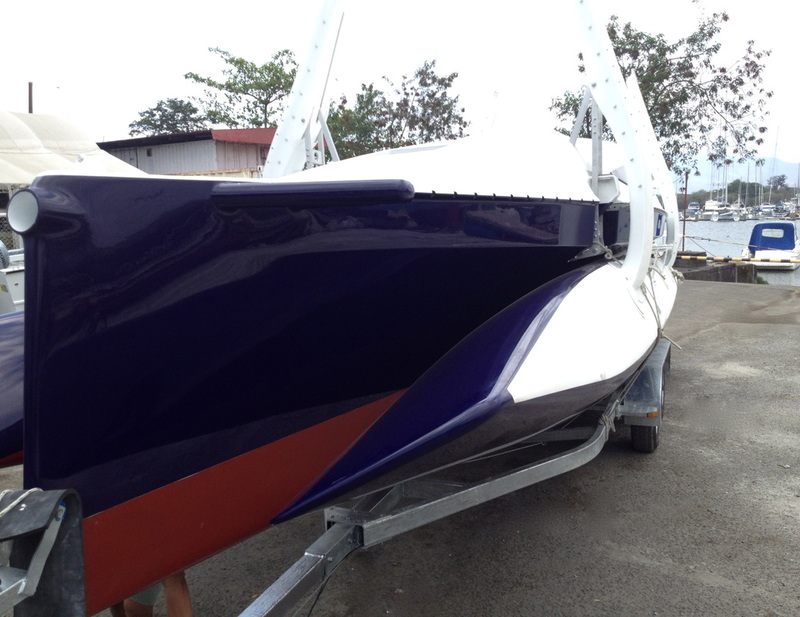 For detailed pricing and specifications please contact.